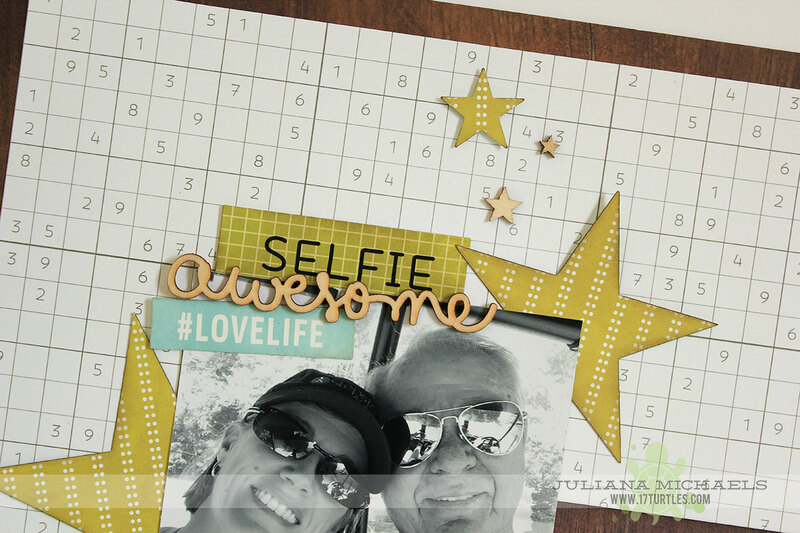 With Father's Day coming up next weekend, I thought I would share a recent layout that I created of me and my Dad. Last year I went and spent an entire week with my Dad...just me and him. It was a great week and one that I will always treasure. One day while out riding around on the polaris, I decided to pull out my phone and snap a selfie of the two us. I'm so glad I did, because this ended up being one of my favorite photos from the trip! I used the Pebbles Inc Happy Day collection. Because I used a black and white photo, I choose to limit my color palette to mostly neutrals. 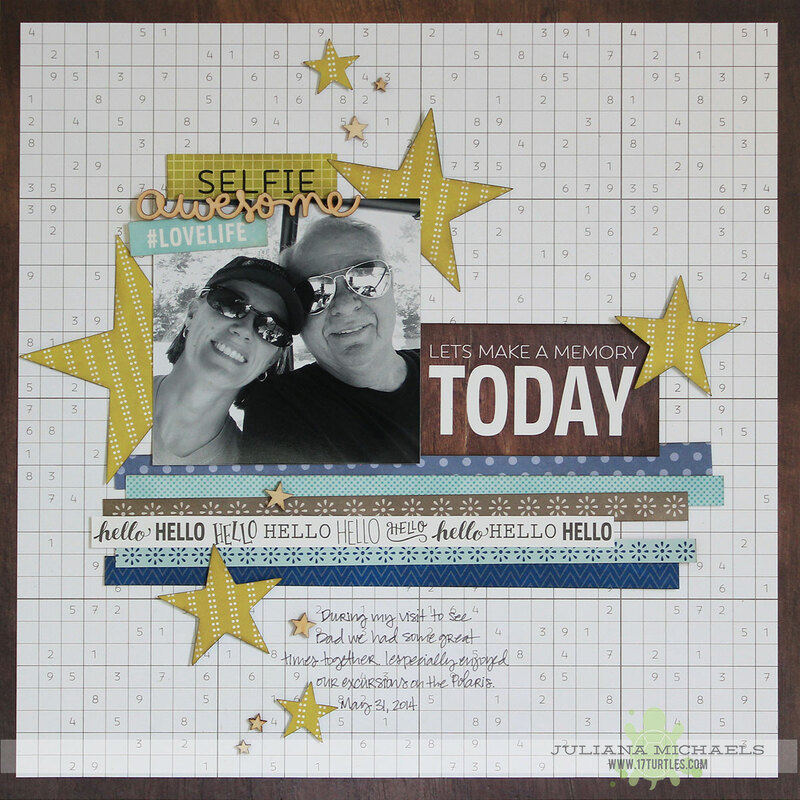 I added pops of color with the strips of blue patterned paper and the green stars. I positioned the larger green stars and the "selfie" sticker around the photo to help draw your attention to the photo. Although I won't be able to see my Dad for Father's Day this year, he will most certainly be receiving a handmade card from me to let him know just how much I love him! Thanks for stopping by today! Love the mix of papers! Such fun! Totally awesome page! Love the papers! I LOVE this, Juliana! everything about it! Awesome photo and fabulous design, totally love the papers you used, and the pops of color.... and the stars perfectly draw your eye right across the page!